Dog owners and handlers are legally responsible for their dogs and any injuries or related medical costs caused by them or their dogs. Users of this facility assume the risk of injury or damage to themselves, their dogs and their property. If your dog bites another dog or human, contact information must be exchanged. Aggressive dogs are not allowed. Any dog exhibiting aggressive behavior must be removed immediately. Owners/handlers must remain with their dogs at all times. No digging or excessive barking. No food or dog treats allowed. Dogs must be collared, licensed, vaccinated and wear I.D. tags. No dogs in heat or puppies under 4 months. Owners/handlers must pick up all pet waste. Children under 12 must be supervised by an adult at all times. 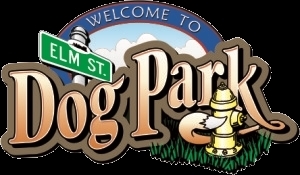 Use of the Dog Park is limited to use by owners/ handlers, and domesticated dogs only. No unneutered male dogs over 12 months of age may be in the dog park. Canister sprays may NOT be used in the dog park.